When I was a child, I would receive an extremely special gift; a Precious Moment figurine. I would be able to spend time picking out exactly which character I wanted and loved collecting them over the years. I never realized how perfect they were until I became a Mom myself and realized the joy and appreciation I have for these figurines. If you haven't heard of Precious Moments, it all began with creator Sam Butcher, who began drawing the endearing teardrop-eyed children he called " Precious Moments " as gifts for friends and family. Today this artwork is among the most recognized art in the world, sharing messages of love, laughter, sadness and strength. The collection started around 1878 when the figurines were first introduced to the market and the response was incredible. Today, the collection now holds thousands of pieces with new introductions offered each year. With so many milestone and moments to cherish, these are some of the greatest gifts to give and receive. 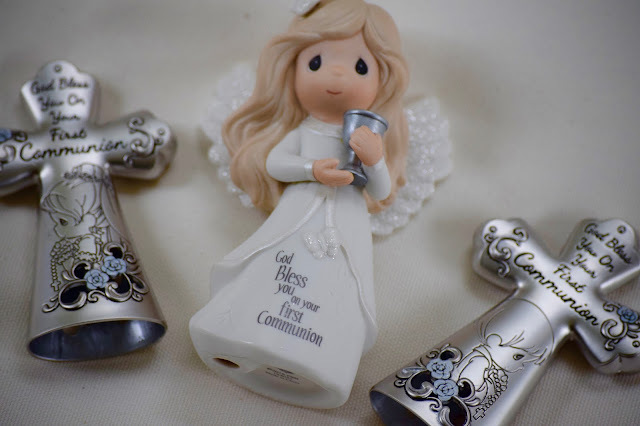 In fact, I was gifted these 2 special pieces; a Precious Moments Communion Angel and Precious Moments First Communion Mini Tabletop cross. 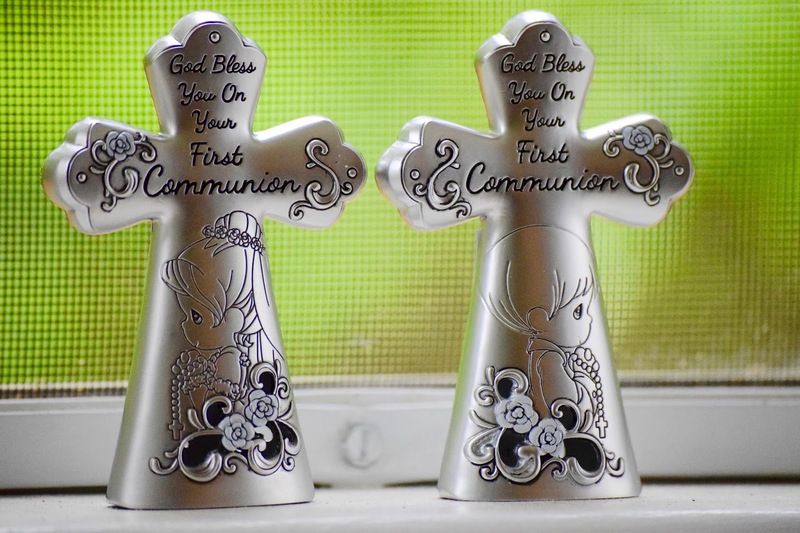 Both these will be going to be daughter when she has her first communion in a few years I can't wait to present them to her. The Communion Angel is beautifully handcrafted from bisque porcelain and then hand painted. I just can never get over all the amazing details, time, and effort that are put into each figurine. Likewise, this mini tabletop cross is just as elegant and perfect for a boy or girl during their First Communion. This cross is crafted from hollow cast zinc alloy and makes for a handsome table piece, or something to display in their room. 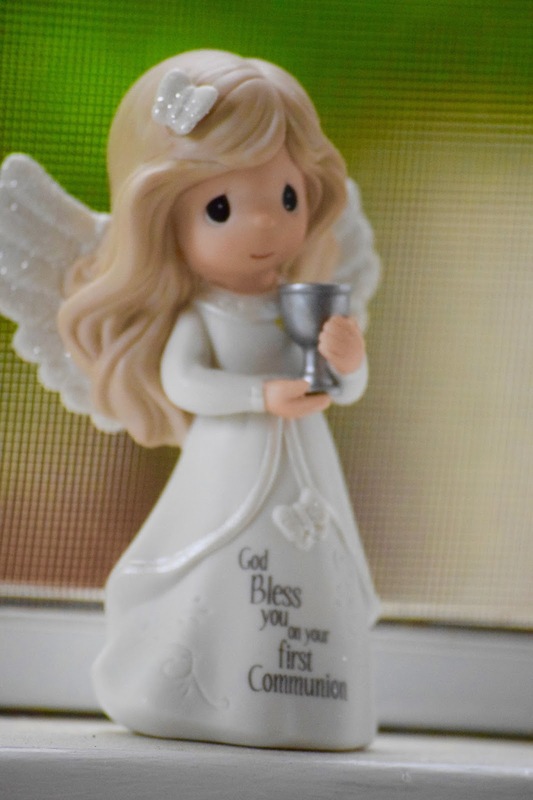 So, if you're looking for a sentimental gift that will last for years to come, make sure to check out Precious Moments and their abundance of products for any moment to remember. You can't go wrong with any figurine, especially when you want to look back and remember those sweet, precious moments.